Marine businesses entered the spring selling season optimistic that, along with the warmer weather, the season would bring out boat buyers who&apos;d been waiting on the sidelines for better economic times. Then, in April, a massive oil spill erupted after an explosion on the drilling rig Deepwater Horizon, killing 11 people. For months, oil poured into the Gulf of Mexico as BP, the U.S. government, and private companies and citizens worked to keep it from reaching the beaches of Texas, Louisiana, Alabama and Florida. The perception in much of the country was that the Gulf was filled with oil, that beaches were covered with tar balls and that the area was basically off limits for recreational boating and fishing. Although the well was capped in July, it was not too late for the boating industry to fully feel the effects of the spill, a survey by the National Marine Manufacturers Association shows. 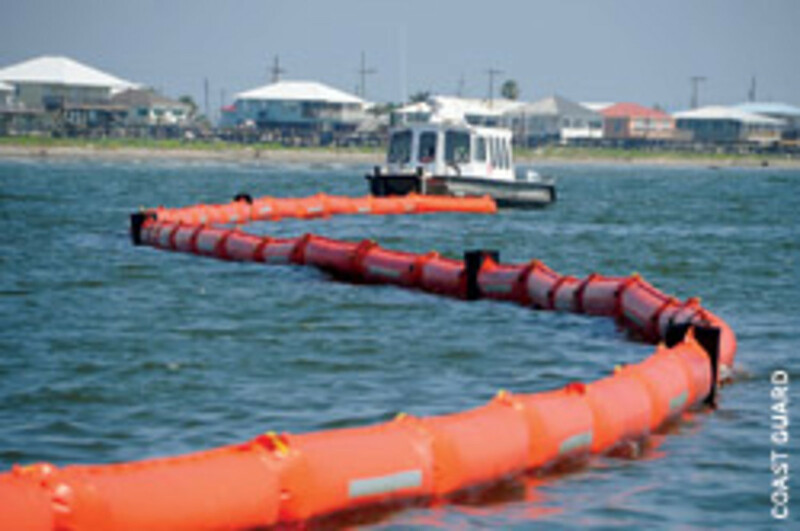 According to the survey, three in five recreational marine businesses nationwide have been affected by the spill. The poll was answered by 178 NMMA-member chief executives between June 29 and July 22. Nearly four in five companies anticipate some effect from the oil spill on their business through the remainder of the year. Prior to the spill, 76 percent of companies had forecast sales growth in 2010. 71 percent of companies have downwardly revised 2010 sales projections as a direct result of the spill. 68 percent of companies were told that a cancellation was directly attributable to the spill. At the time of the survey, 1 percent of companies had filed claims with BP, although nearly 15 percent planned to file claims in the next three months. NMMA president Thom Dammrich says the survey results weren&apos;t too surprising because the association had been hearing from its members for months about the effects of the oil. The survey, he says, was a way to quantify the anecdotal evidence of those effects on the marine industry. Members seeking restitution from BP for losses may find the results useful, he says. "I think that there is a lingering effect in that things are still not back to normal, but clearly the fact that [the well] has been capped, things should begin to improve in the near term," Dammrich said in late August. "But that probably won&apos;t make up for what was lost during what was really part of the prime fishing season down there." The NMMA has asked Gulf Coast Claims Facility administrator Kenneth Feinberg for a clarification of the process for pending and future claims from marine businesses that have experienced economic damage from the oil spill, and has also sent the survey results to Feinberg. "[We wanted to] make sure that they understood that our industry is really dependent on the health of the waters in the Gulf and not having access to those waters for a long period of time and having uncertainty surrounding [the situation] has a direct impact on sales," says Cindy Squires, the NMMA&apos;s chief counsel. "We don&apos;t really know how difficult they&apos;re going to be in terms of proving claim. That&apos;s still to be determined." The claims facility was recently established as a neutral fund responsible for all decisions related to the administration and processing of claims from the oil spill. The NMMA says it anticipates the claims facility, which was officially up and running Aug. 23, will streamline the claims process and improve the flow of information to claimants. One of the most frustrating aspects of the situation, Dammrich says, is that most of the Gulf was fine for recreational boating and fishing, even while the well was uncapped. "Really, in terms of the beaches, it was really just a little bit of the panhandle of Florida, Alabama and Louisiana that were affected by the spill," he says. "Most of Florida and Texas were not affected at all, but there were such dire predictions about the oil getting into the Loop Current and potentially going all the way around the eastern side of Florida and up the East Coast that people just kind of put the brakes on their plans because of the uncertainty." Bill Yeargin, president/CEO of Correct Craft, builder of Nautique boats, says his company wasn&apos;t directly affected because it builds primarily freshwater boats, though the spill did cast a pall across the industry. "The bigger issue is the psychological impact the spill has on consumers&apos; confidence and the view of boating in general," he says. "The boating industry has been hit by a flood of tough news the past couple of years, and the Gulf oil spill feels a little bit like piling on." Ken Clinton, president of Intrepid Powerboats, says he "definitely saw a slowdown in new sales during the oil spill." However, because his company had a "healthy backlog," the slowdown mainly just reduced the backlog of orders. "With the economy being what it is, we do not need any other curveballs thrown our way," he says. "If we continue to talk about the negative impact [of the oil spill], it will continue to be just that. I think we need to focus on getting it cleaned up and ensuring that such a tragedy does not happen again." The spill did not only affect boatbuilders. Others in the industry also experienced a downturn. "Obviously there has been a reduction in sales to the recreational boating segment, but in our case much of that has been offset by an increase in commercial product sales," says Donald Henry Jr., director of Shakespeare Marine Products Group. "However, the commercial sales increase will be short-lived, and I expect the long-term outlook will remain soft for the recreational sector until livelihoods that have been lost can be re-established." Al Baurley, president of Arid Bilge Systems, says the spill has made it difficult to sell his products in the Gulf area. "We have been introducing a green boat system that removes all liquids from the bilges, separates and retains the oils, and discharges the legal 15 ppm effluent into the surrounding waters," he says. "Make a presentation after the Gulf oil spill, and no one shows concern with their pollution potential of a few gallons." Of the 71 percent of survey respondents who downwardly revised 2010 sales projections because of the spill, the majority have revised their projections by 5 to 20 percent. One in 20 companies was severely affected by the spill, reducing their 2010 forecasts by more than half. However, 11 companies reported gaining from the spill, though in the majority of cases sales forecasts increased by no more than 5 percent. Nearly half of the 16 companies whose operations have been affected by the spill have laid off employees, according to the survey, and more than half of the 19 companies that expect operations to be affected anticipate laying off employees or closing facilities this year. 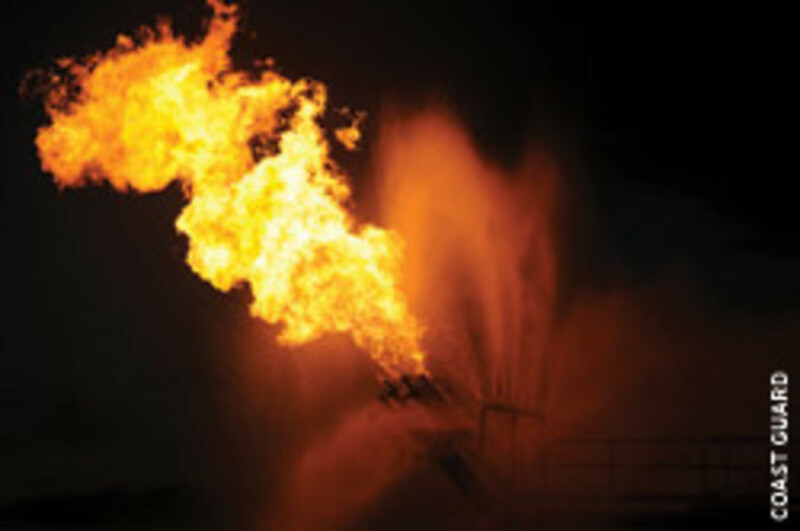 The survey shows that approximately one in five companies has or anticipates having new product lines in response to the spill. On the other hand, 12 percent of respondents have discontinued products and 21 percent anticipate the discontinuation of products sometime before the end of the year. Now that the well has been capped and the spill is not constantly in the news, the situation should start returning to normal, Dammrich says, noting that tourism agencies in Gulf states are aggressively promoting their areas as safe and clean. "Obviously, nobody needed another negative impact on their business, but I don&apos;t think we view this as an insurmountable setback to the industry," he says. "We&apos;ll recover from this fairly quickly. The bigger issue is the overall economy. But what is not known is what the long-term impact is going to be on the Gulf fisheries and, therefore, on marine businesses in the Gulf."